David and Scott Bice from Redwood Hill Creamery join Steve Jaxon, Mark Carpenter and Herlinda Heras today. 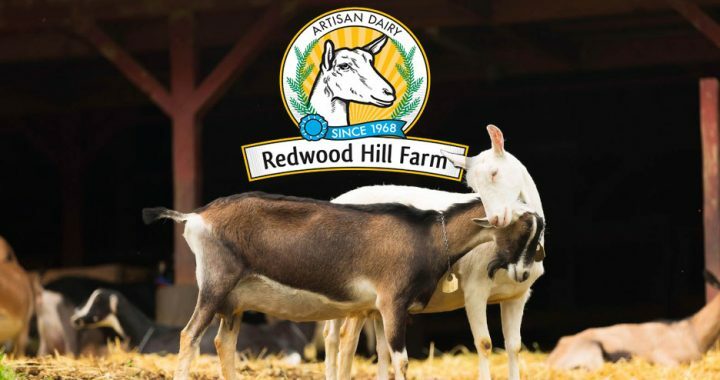 Their parents founded Redwood Hill Creamery and they have been making great artisan goat cheeses for more than fifty years. Three Redwood Hill Creamery goat cheeses. They also brought fresh hops, which are being harvested now. They also grow these hops. The fact that they smell slightly of cannabis and lupolene which has the alpha and beta oils which are what the brewers want. These are wet hops because they are freshliy picked. Throughout the year, brewers will get dried or pelletized hops, mostly from Yakima Valley. Herlinda mentions that Anchor used whole hops for the whole time Mark was there. Sierra also still uses whole hops. These hops don’t last, though, but with so many breweries located so close to the Sonoma hops fields, it’s a ready market. The hops are super fresh and they have to be mixed into the beer within a few hours of harvest. Some people make tea from hops for its medicinal properties. They also brought some cider that is steeped with hops and honey, then bottle conditioned with honey instead of sugar. Redwood Hill Creamery, hop growing is part of the farm. The creamery is a big operation that makes yogurt and kefir. They also grow apples and olives. They get a lot of goat manure which they use as fertilizer. Jennifer Bice, their mother, has a repuation for ecologically sustainable operations. They are tasting an aged cheddar which Steve calls one of the greatest cheeses he has ever tasted. They will be serving the Redwood Hill Smoked and Aged cheeses on Saturday at the Gravenstein festival. Next they taste a cider from Horse & Plow. The license is the same for cider and wine, taxed at higher rates. Herlinda just got her first level qualification as a Cider Professional. Congratulations Herlinda! They learn how it’s made, they press the apples, there is no heat, as in beer. This cider is very lightly hopped. The oldest cocktail is America is a cider cocktail called a Stone Fence, with cider and rum. Mark thinks the distilled liquors were rough back then so cocktails may have come about as a way of making them palatable. On the live show they give away a pair of tickets to the Gravenstein Apple festival this weekend.